The year was 1997. Leonardo DiCaprio was “king of the world” in Titanic, WebMD launched online, Beanie Babies were the must-have Christmas toy, and my husband, Don, and I took the helm of Valencia Acura. Looking back, it was a very big year. For 20 years, we have worked to create a car buying experience based on treating customers the way we ourselves would want to be treated. Infusing a culture of friendship, we have received the support of many new and loyal customers some who have purchased 10 or more vehicles from our showroom floor. The truth is that we have an amazing brand in Acura. It’s an affordable luxury brand best defined by its precision crafted performance. As we mark two decades as the “Friendship Dealership,” we’re excited to announce that Valencia Acura has earned the Acura Precision Team status for its 11th year: 2016, 2015, 2014, 2013, 2012, 2011, 2010, 2009, 2004, 2003, and 2002. The Precision Team status is the most prestigious honor that Acura can grant to its dealerships. The status recognizes those dealership teams that demonstrate superior achievement in customer satisfaction, sales and service. Acura dealerships are given the year to achieve a rigorous set of objectives and prove they are worthy of Acura’s most coveted award. Criteria is established to enhance the client experience with most measures based on actual client feedback and survey scores. To achieve success in the program, it requires a group effort and total commitment to excellence by the entire dealership team. And, yes, we have an amazing team of employees who really care about our customers. In addition, Valencia Acura has received Acura’s Council of Excellence Award from Acura Financial Services for 13 years. I am pleased to say we have been named “Best New Car Dealership” in the Santa Clarita Valley by readers of The Signal newspaper for the past 13 years. In 2001, we were honored to be recognized by the Santa Clarita Valley Chamber of Commerce as “Medium Business of the Year” and as “Large Business of the Year” in 2016. As dealer/principal, I was awarded “Dealer of the Year” by Newsweek Magazine and the American International Automobile Dealer Association in 2006 based on Valencia Acura’s business practices and community involvement. We’re pleased to say that today Valencia Acura is one of Acura’s highest ranking dealerships in customer satisfaction, and one of the highest in the nation for customer loyalty. And that’s just the beginning of our story. Since moving to the Santa Clarita Valley in 1997, Don and I have truly tried to make a positive difference in the community. Our dealership has contributed to numerous charitable, social welfare and economic impact organizations with a combination of financial support and volunteerism. 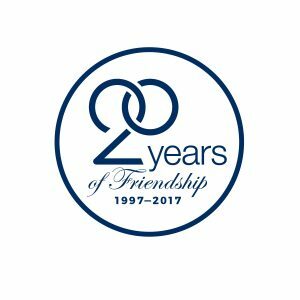 As we celebrate 20 years of friendship, there’s never been a better time to buy or lease an Acura than now. So, stop by, say hello and see for yourself the exciting new Acura line-up in our showroom and experience the ‘Friendship Dealership’ difference. Celebrating 20 years serving the community, Valencia Acura is a local, independent, family-owned car dealership located at 23955 Creekside Road in Valencia. Owners Don and Cheri Fleming can be reached at (661) 255-3000. Visit www.ValenciaAcura.com.